SigFig provides an automated investing solution to investors focused on long-term wealth who want a hands-off portfolio management solution, a predictable income in retirement and the bonus of an educational experience to further their investment knowledge. Like other robo-advisors, SigFig charges lower fees on managed accounts than most traditional financial advisors. SigFig also offers portfolio analysis tools to identify high expense ratios in existing portfolios to minimize costs and maximize potential after-tax returns. SigFig walks investors through a path of first identifying investment goals, and then based on goals and risk preferences, recommending a tailored investment portfolio that is managed by SigFig at one of three partner brokerages: TD Ameritrade Institutional, Charles Schwab or Fidelity. SigFig actively monitors portfolios each day and rebalances automatically. Like Wealthfront, tax-efficiency is prioritized at SigFig to achieve an optimal recommended allocation and, unlike traditional financial advisors, reporting is available daily versus quarterly. 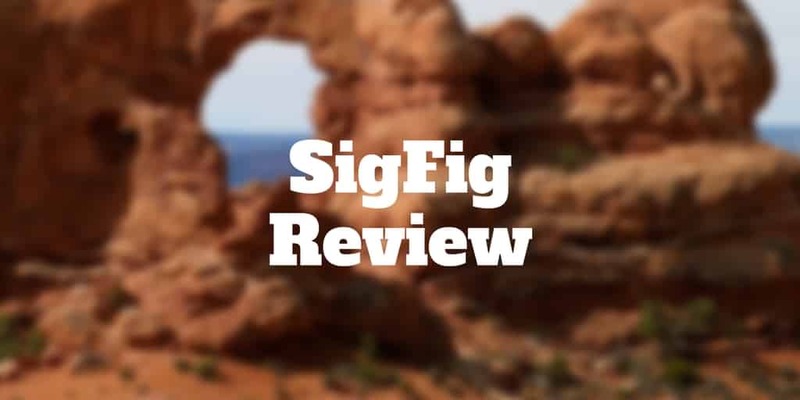 SigFig serves fee-conscious, beginner and hands-off investors like other robo-advisors but it also serves income-oriented retirees targeting modest annual returns with limited volatility. Anyone looking for an intuitive, easily navigable platform that manages portfolios automatically will be pleased with SigFig. SigFig serves customers who are not simply focused on a hands-off portfolio management solution but also retirees seeking a predictable income stream on their nest-eggs. Fee-conscious, hands-off retirees will be thrilled with SigFig’s income-focused product, Diversified Income Portfolio. The target yield for the Diversified Income Portfolio is 4% but fees incurred are 0.50%, twice that of standard portfolios. For busy professionals who simply want to better assess fees charged elsewhere, SigFig provides a simple interface to spot if a portfolio may be underperforming due to its composition, expense ratios and fees. SigFig is among the lowest price robo-advisors offering a no-fee portfolio management solution up to $10,000 and just 0.25% thereafter. A minimum balance of $2,000 is required to open a SigFig managed portfolio account. SigFig uses Modern Portfolio Theory to create portfolios that match the risk tolerance of investors to portfolios. Most other robo-advisors also rely on this method to construct portfolios. Like most other robo-advisors, SigFig relies on the Nobel prize-winning research of Markowitz and Sharpe (1990) and Fama (2013), to create portfolios tailored to specific investment goals. The investment methodology SigFig employs is a multi-step process which begins by identifying asset classes that contribute to a well-balanced portfolio. These include US Stocks, Developed Market Stocks, Emerging Market Stocks, Real Estate, US Bonds, Treasury Inflation-Protected Securities, Municipals, Emerging Market Sovereign Debt, and Short-term US Treasuries. The next step is to select investment vehicles that provide the best balance of market coverage at low cost. SigFig then employs Modern Portfolio Theory to create portfolios that match investors’ risk preferences. And once a portfolio is fully invested, SigFig monitors it and rebalances it automatically to ensure its weightings stay on track. As markets become increasingly volatile, SigFig looks to increase portfolio allocation to perceived lower-risk asset classes, such as US Treasuries and investment-grade bonds, and decrease exposure to higher risk asset classes, such as mortgage-backed bonds. SigFig provides tools to compare fees, expense ratios and portfolio composition to better optimize after-tax returns. SigFig has an easy-to-use interface that lets users easily track important data from their dashboard after logging in, including fees, dividends and yields, portfolio allocation by region, risk level, and follow the markets via the live streaming data feed. SigFig provides lots of free price comparison tools. An easy-to-use slider shows users how SigFig fees compare to traditional advisors charging 1% or more. For example, a $100,000 investment would result in a traditional advisor charging approximately 5.2x the fees of SigFig. SigFig uses algorithms to identify oversights or ‘errors’ among human advisors. Many investors think only about the fees traditional financial advisors charge, which average about 1.25%, but neglect to pay attention to fund fees which average about 0.8%. SigFig relies on low cost exchange-traded funds, and charges no commissions. To minimize the impact of taxes, SigFig employs tax-loss harvesting which is a trading technology that exploits tax code features with a view to lowering tax liability. The tax-loss harvesting method used by SigFig looks to identify assets that have lost value and can be sold to offset realized gains from assets that have appreciated in value and would otherwise result in a higher tax liability. SigFig stands out among robo-advisors with its income-focused product serving retirees, a product few robo-advisors offer. In addition, SigFig charges low fees that compete with Betterment and Wealthfront and offers tax-loss harvesting tools which are especially valuable in maximizing after-tax returns. Where SigFig falls short is the absence of live financial advisors for investors seeking a more personal touch. ✅ Income Product: SigFig shines with its retiree-focused income product, Diversified Income Portfolio, that targets 4% annual yields. Most robo-advisors are focused on growth and returns rather than income, and some even restrict new clients above a certain age. ❌ Account Balance Minimums: SigFig has an account balance minimum of $2,000, which is high relative to many other robo-advisors who have no minimums at all. ✅ Low Fees: SigFig charges no management fees on amounts up to $10,000 and just 0.25% on amounts above $10,000 for standard accounts. Diversified Income Portfolio investors pay 0.5% of assets under management. ❌ No Live Advisors: Investors seeking a more personal investing experience should consider alternatives, such as Personal Capital, who connect clients with live financial advisors. ✅ Comparison Tools: SigFig has lots of great tools, including ones that compare expense ratios on existing portfolios and identify better, lower-fee funds. ❌ Timeline of Back-testing: The timeline of analysis SigFig uses to compare fund performance is 3 years which is not especially long, and it tends to be heavily reliant on Sharpe ratio for decision-making. ✅ Easy To Use Interface: A hallmark of SigFig’s platform is its easy-to-use, highly intuitive, and simple-to-navigate platform. Beginner investors will not struggle to find their way around the website. ✅ Tax-Loss Harvesting: SigFig provides its tax-loss harvesting service designed to improve after-tax returns as part of its service, unlike some robo-advisors who charge an add-on fee for this feature. SigFig charges fees competitive within the robo-advisory sphere, just 0.25% of assets under management for standard accounts and 0.5% for its income-focused Diversified Income Portfolio product. Expense ratios are generally low though some higher fee funds do creep into the mix from time to time. All individual and joint non-retirement accounts as well as all IRA accounts are supported. SigFig claims to be working on supporting 401(k) and 529 Plans though neither have been rolled out yet. Like many other robo-advisors, SigFig offers free account rebalancing and includes tax-loss harvesting, which not all robo-advisors offer, in its annual management fee. SigFig distinguishes itself from most other robo-advisors by offering an income-focused product in addition to the standard growth-focused products. Retirees in particular will find this a compelling reason to strongly consider SigFig. Combined with its tax-loss harvesting offering to maximize after-tax returns, extensive education, free automatic rebalancing and low fees, SigFig offers a comprehensive solution for the hands-off investor however investors looking for a personal touch with live financial advisors should consider alternative full-service robo-advisory firms, such as Personal Capital or Betterment.